Hope you are all well. We had some very welcome rain this week and may get some more later this week. I enjoyed my reading although going a little slow at the moment, but I guess I’ll gather momentum again as we do! Sometimes there is plenty of time for reading and sometimes the pleasure of others company plus chores and other hobbies take precedence! The Susan Wiggs book was an okay book, The Cliff House is for review and I did enjoy it. The Woman at 72 Derry Lane by Irish author Carmel Harrington was a riveting listen and covered both domestic abuse and a world disaster in 2004. What! The Books I Read are Mostly Pigeonholed “Trash”? Previous postWhat! The Books I Mostly Read are Pigeonholed “Trash”! It’s always nice to listen to an Irish author around St. Patrick’s Day! I hadn’t heard of this one, but “riveting” sounds good! I read one of Phaedra Patrick’s earlier books — The Curious Charms of Arthur Pepper — and enjoyed it. Thanks for hosting! Too bad the Susan Wiggs was just okay. I’ve read several of hers and they all tend to be pleasant but not especially memorable though there are a couple of exceptions. So glad to see The Cliff House was good. That’s soon up on my list and I”m so looking forward to it. Hope you have a great week! Come From Away is next on my audio shelf too Kathryn, Genevieve said she really loved this narrator so I can’t wait to listen. Nice you have some real choice for now! Genevieve kindly contacted me and after listening to the one I won on your blog I was very happy to listen and review. Sounds like a nice variety of books for you last week – you always find books and authors I haven’t heard of before, so I appreciate that! There are just so many good books in the world waiting to be read! 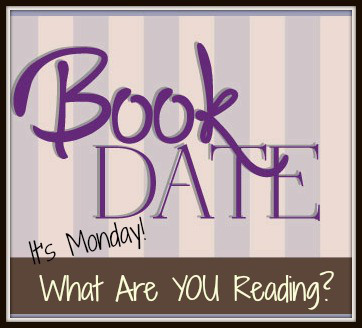 Enjoy your books this week & thanks for hosting! I haven’t finished a book lately so no book post this week; I do need to finish my libary Kindle book within the week. Gonna check out Josephine Moon; love her name as I have a Josephine. Stefanie Josephine Moon is an Australian author so not sure if she is in the USA. I wasn’t so keen on this one of hers but have liked more some of her others. I want to read The Library of Lost and Found!! The Chocolate Promise has the most lovely cover! Patty it does. I have to say it turned out to be not one of my favourites by this author but it was still okay. Oh…that is too bad…maybe that’s why it needed a pretty cover. I think heaps of people would have enjoyed it and still 3 star read for me. But just didn’t bite me enough!! That’s just the way some books fall…just ok.
We’ve had lots and lots of snow and hoping for warmer weather coming up. The Library of Lost and Found looks intriguing. Have a great week! The Cliff House looks really good. I also like the looks of The Woman at 72 Derry Lane. ENJOY The Library of Lost and Found. Have a wonderful week, Kathryn. The Library of Lost and Found sounds really good. And I have The Cliff House to read too! 🙂 Have a great week, glad you got some rain! Phaedra Patrick is an author I’ve been wanting to try. I hope you enjoy her new book! Hope so Mary, I hadn’t heard of her up until now. I do not think I have read that Moon! Awesome selection this week. The Cliff House and The Chocolate Promise sound interesting. I’ve seen The Library of Lost and Found a couple of places recently. Hope you enjoy it. Here’s hoping you have an easy week. We had rain and even hail but our rainy season is nearly at an end. Then it will be our turn for heat. Glad you got rain you needed. Nice to know you liked The Woman at 72 Lane. I like the sound of Come From Away too. Happy Reading/listening! The Library of Lost and Found looks good. Thanks for hosting. I hope you have a wonderful week! Your books always look so good. The Chocolate Promise really looks like a great book. I have to add that one to my wishlist. Hope you have a great week! The Library of Lost and Found sounds nice! It’s been raining here to lately, we had a lot of freezing rain this weekend. I like the look of The Woman at 72 Derry Lane. I also want to read The Library of Lost and Found. Glad you enjoyed some refreshing rain. My reading has slowed way down too, but I am going on vacation and just plan to read!!! Best laid plans. Have a great week.